In Texas, as most of you all know, the weather can change drastically! One time in Tyler, Texas, my sister, grandfather, and I went to a movie and it was 82 degrees outside when we walked in. Two hours later, the temperature was 53 degrees and still dropping! So…on those crazy weather days in Texas when the temperature drops, you need a recipe to keep you warm! 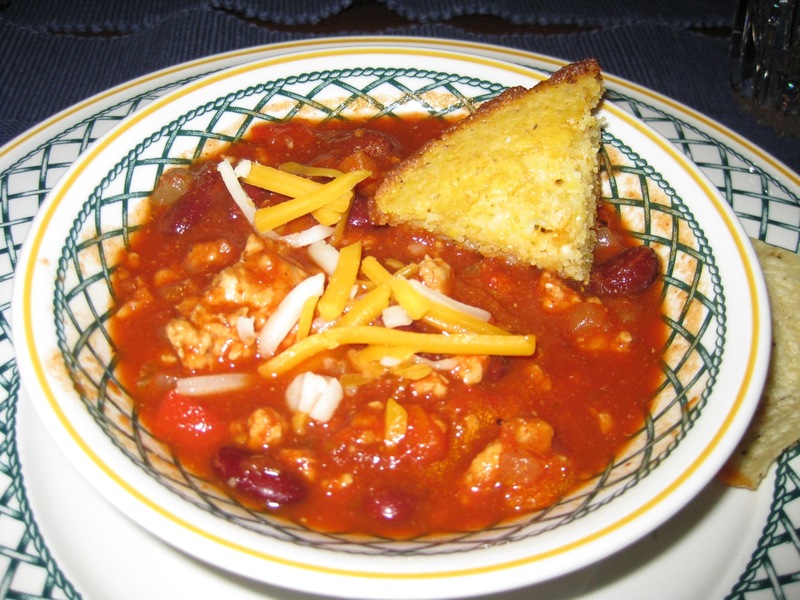 I found just the one….turkey chili! This Turkey Chili recipe from “Clinton St. Baking Company Cookbook” by DeDe Lahman and Neil Kleinberg, is a wonderful stew to enjoy on a really chilly day. My mom and I made it this past Saturday and everyone in our family loved it. It is extremely healthy with the lean ground turkey, and the spicy, complex, and totally addictive flavors make this chili one of our favorites on a cold winter’s day. This stew is great for company as it can easily double for a crowd. As a bonus, this chili will taste even better the next day! Give it a try and enjoy! 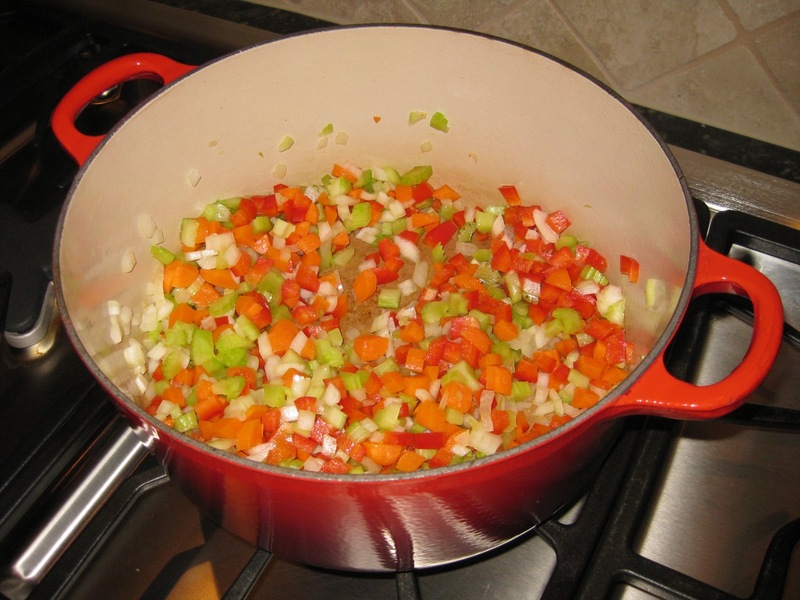 Heat the olive oil, vegetables, and garlic in oil over medium-high heat, until tender. Combine the herbs and spices. Add the turkey to the vegetable mixture, breaking up the ground meat with a spoon until the turkey is cooked and colors lightly. 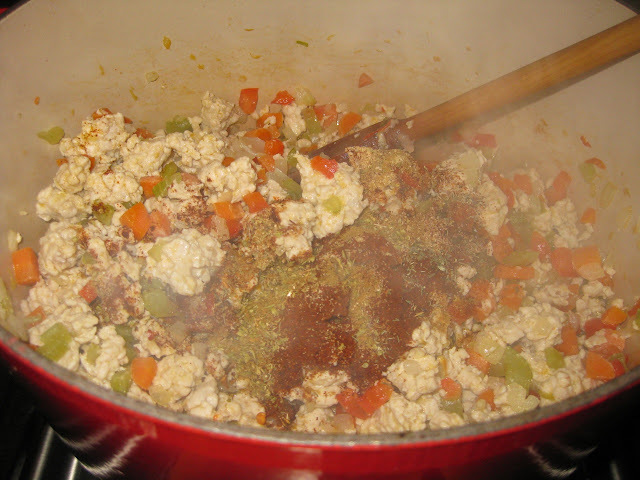 Add the herbs, spices, Tabasco, and tomato paste to the mixture and stir until combined. Stir the peppers in adobo sauce in the crushed tomatoes and add broth to the pot. Bring to a boil, and simmer for 15 minutes. Add kidney beans and their liquid, and cook for 5 minutes longer. Season with salt and pepper. Remove bay leaves, and serve with your choice of garnish. I chose a little shredded Monterey Jack and Cheddar with skillet cornbread. 1. In a large stockpot over medium-high heat, warm the olive oil and cook the vegetables and garlic in the oil until tender. Don’t be afraid to caramelize the vegetables a little bit. Add the turkey to the mixture, breaking up the ground meat with a spoon until the turkey is cooked and colors slightly. 2. 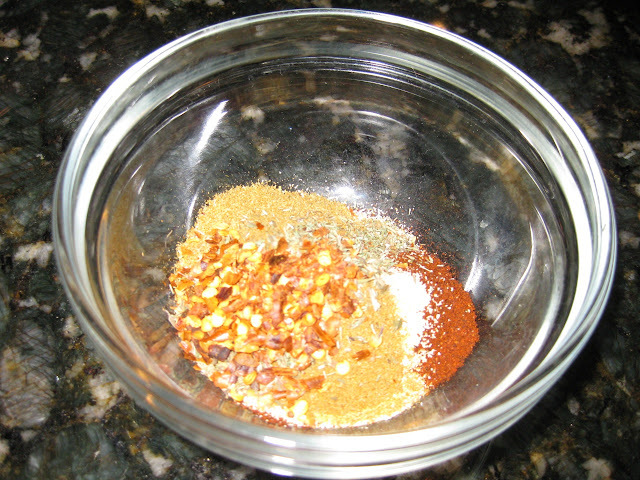 Add the herbs and spices, Tabasco, and tomato paste to the mixture and stir until combined. Stir the peppers in the adobo sauce into the crushed tomatoes and add broth to the pot. Pour in the chicken stock, bring to a boil, and simmer for 15 minutes. 3. Add kidney beans and their liquid to the stew and cook for 5 minutes or until the beans are warmed through. 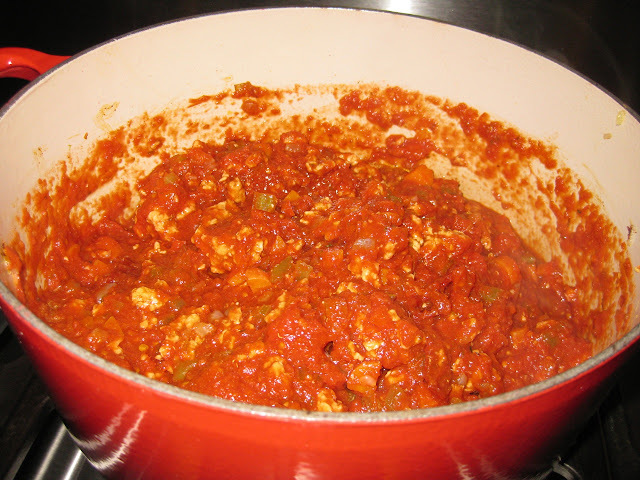 (If you want less soupy chili, just cook it down until it’s reached your desired consistency). Season with salt and pepper. Remove bay leaves and serve with your choice of garnish.